April 7-13 2019 is National Volunteer Week! The CSIA wishes to thank all of our dedicated volunteers for their contributions and efforts. Whether you are involved as a member of the Board of Directors, as a National or a Regional Committee member or with CSIA events from East to West, CSIA National wants to say thank you. You take the time to support our association and make it grow. 2019 Election for CSIA Board of Directors: Exercise your right to vote! In accordance with CSIA’s General By-Laws, the term of office for the Directors representing the Alberta and Atlantic regions will expire on May 1, 2019. For the Alberta region, the following candidates will stand for election: Vieri Berretti, Colin Borrow, Robert Côté, Paul Cunnius, Morgan Engel and Danielle Galletly-Vriend. For the Atlantic region, the following candidates will stand for election: Gregor Byrne and Darren McDonald. Click here to read their respective biographies. The election process for the National Board of Directors is conducted by mail-in, fax-in or electronic ballot; and as per the CSIA National By-laws, is open to those members in good standing, who reside in the region the Director will represent (Article 5.06 of the CSIA By-laws provides further details on the “Right to vote”). Members are entitled to one vote; and once the ballot has been submitted, it is irrevocable. Click here for the fax or mail-in ballot (paper copy). The deadline to cast your vote is Monday, April 15, 2019, 5:00 p.m. EST. This election is a great opportunity for CSIA members, to choose who can best represent their interests on the CSIA Board of Directors, and who can influence the future direction of the CSIA. To help you with selecting your candidate; we encourage you to read the biographies (see link above) and job description (click here for the Role and responsibilities document). The job description will allow you to gain a better understanding of what a CSIA Director is responsible for and how their respective skill sets can become an asset for your association! Voting is your privilege and duty as a member. Exercise your right to vote and make a difference! This is an exciting time for our organization! As we look forward to the future it is important that we are set up to meet the needs of a complex and changing market place and continue to deliver ever-improving value to each of you - our members! Prior to my joining the organization, as your Managing Director, there was a considerable amount of work done by what was known as the Education Working Committee (EWC). That work included taking a very close look at our organizational structure and how our resources are deployed to best meet our future needs. Please click here to consult the 3 full job descriptions. We are now actively recruiting for these roles! If you are interested in one of these positions, please send a cover letter and your resume to hr@snowpro.com before April 14, 2019. We will resume our regular schedule on Wednesday January 3, 2019. Please contact us by email at: national@snowpro.com for further inquiries. The CSIA National Office is looking for a Marketing Coordinator! Please read the following information in regards to the 2018 Annual General Meeting and Election of Directors. AGM NOTICE –The CSIA Annual General Meeting of the members will be held on Saturday November 3, 2018 at the Library of the Manitoba Museum, in Winnipeg, Manitoba at 4:30 p.m. local time. In accordance with the CSIA General By-laws, members who cannot attend can submit an electronic proxy by login into their profile on snowpro.com. Click here to view the AGM Notice in its entirety. Information on the AGM Notice will also appear in the 2018/2019 edition of the Ski Pro Magazine. ELECTION OF DIRECTORS – In accordance with CSIA’s General By-laws, the term of office for the Director of the Alberta and Atlantic regions will expire on May 1, 2019. Any member in good standing who wishes to stand for election to the Board of Directors for either position in question must, no later than November 30, 2018, submit a nomination form, supported by not less than ten (10) members. Click here for further details. It is with mixed emotions that the Board of Directors of the Canadian Ski Instructors’ Alliance announces that Martin Jean, Director of Education and Membership Services, has decided to retire from the CSIA after 34 years of service. Martin’s last day as a National Office staff will be June 30, 2019. The Board of Directors would like to thank Martin for his dedication and hard work and we are proud of all his accomplishments. “Through the years, Martin has been a major thought leader and a significant contributor to the design, delivery and evolution of our educational program. Although Martin will leave the organization at the end of this coming season, his legacy will remain with us for generations.” said Robert Tousignant, Chair of CSIA’s National Board. It is with great emotion and a sense of accomplishment that I am announcing that I will be retiring from the CSIA after 34 years of service in June 2019. I feel very privileged to have been able to fulfill my aspirations to work in ski teaching for most of my career with a great organization such as CSIA and I am proud to have contributed to its advancement. Also, I am happy to see the CSIA reach new heights as the member’s engagement, the quality of the education programs and the international recognition continue to rise every year. I am taking this opportunity to thank all my colleagues that I worked with throughout the years, the Course Conductors for their dedication, the many volunteers on countless committees, the Board of Directors and of course the office staff for their support and friendship. I will leave with fond memories of our time together. Thank you and see you on the slopes! CSIA has new silver sponsors! The CSIA is proud to announce a new Silver partnership with Auclair and Seger brands. In addition, Auclair has signed on to be an official 2019 CSIA Interski team sponsor. Don’t forget to stay on the lookout for their gloves on our online store next fall! Want to know more about them? Check out their website to see more. 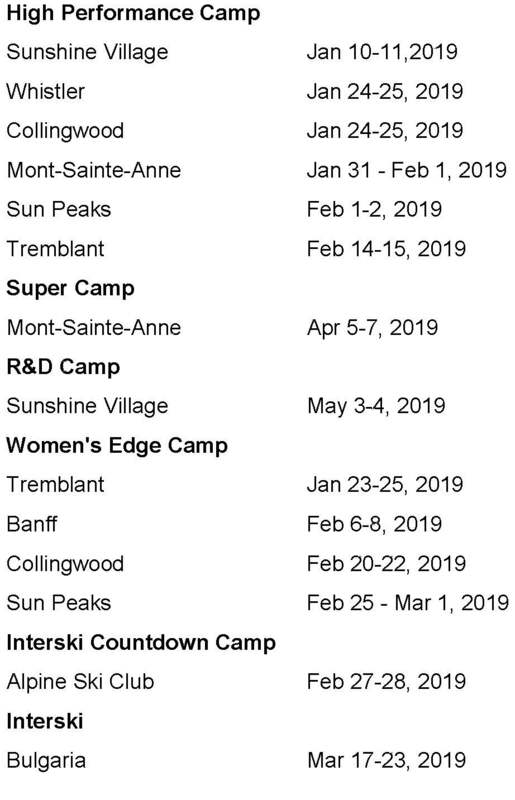 Experience a CSIA camp this winter! The season is in full swing, snow conditions are great and our Course Conductors are ready for you! Due to unfortunate technical issues with our integrated system, the membership card production has been delayed this season. Rest assured, the cards are currently in production. Expect your card to arrive shortly. In the meantime, you can access your digital card on your snowpro.com profile. We apologize for any inconvenience this delay may cause you and thank you for your patience and understanding. Happy New Year from the CSIA National Office! The CSIA wishes all of its members a Happy New Year! May 2018 bring us all an abundance of snow and great teaching moments across Canada. Your National Board of Directors wishes to inform you that François Morrison, who held the Managing Director position, has left the CSIA. We wish him well in his new endeavours. In the interim, the Board will work with our senior staff to ensure a smooth transition and will inform you shortly of our succession plan. We will resume our regular schedule on Wednesday January 3, 2018. Merry Christmas and Happy New Year to all of our members and partners! Please read the following information in regards to the 2017 Annual General Meeting and Election of Directors. AGM NOTICE – As published in the Fall 2017 edition of Ski Pro Magazine, the CSIA’s Annual General Meeting of the members will be held on Thursday, December 7, 2017 at the Base Camp in Mont-Tremblant, Quebec at 4:30 p.m. local time. In accordance with the CSIA General By-law, members who cannot attend can submit an electronic proxy by login into their profile on snowpro.com. Click here to view the AGM Notice in its entirety. ELECTION OF DIRECTORS – In accordance with CSIA’s General By-law, the term of office for the Director of the Quebec and Central regions will expire on May 1, 2018. Any member in good standing who wishes to stand for election to the Board of Directors for either position in question must, no later than November 30, 2017, submit a nomination form, supported by not less than ten (10) members. Click here for further details. 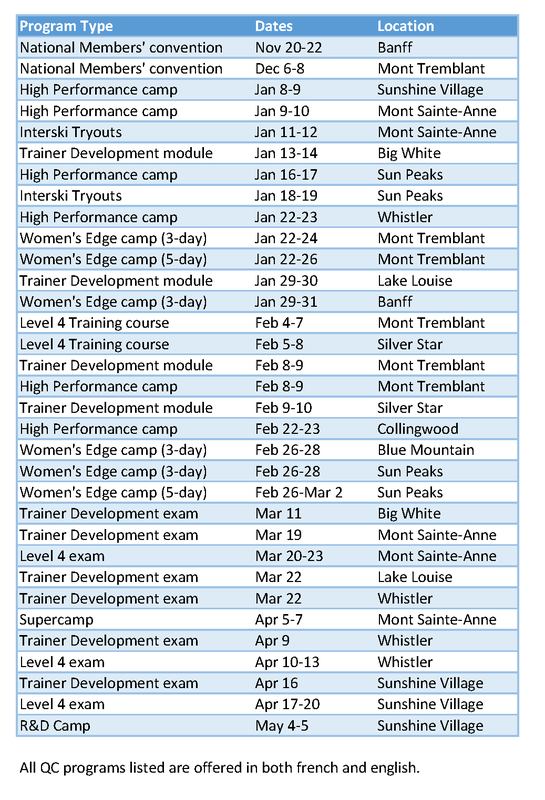 2017/2018 CSIA Program registration has been launched! You can now register for a CSIA program. Click here to get all the information on the new registration process. Welcome to the 2017/2018 season! You can now renew your membership for the 2017/2018 season and start taking advantage of your benefits. If you renew your membership online by October 16, 2017, you will be eligible to participate in a draw where you could win 1 of 12 free memberships or a pair of skis! You will also receive an online voucher to be used when you register to a CSIA National module (value of $20). If you have been recognized as a 25-year member and renew before November 1st, 2017, you will also receive a $50.00 online voucher applicable towards the registration of one of our National Members’ Convention. Youth promo! We are offering our younger members a new promotion this year, whereas all members 18 years of age or younger, will receive a $10.00 rebate on their membership dues upon renewal. When renewing your membership online, you will notice that the website has been revamped. As indicated in past communication related to our strategic plan, the CSIA has been developing, in collaboration with the firm Connexence and a committee of users made up of regional representatives, a new IT system and new web platform. These changes will enable us to offer you more online functionalities, as well as improve your online membership experience. The start of this season does marks the official launch of the new web platform, online membership profile and renewal process. However, additional features will be implemented throughout the fall, including the course registrations and membership cards issuance in late September. Communications of these new features will be sent via direct email or included in the skipromag.com newsletter. Stay tuned! As you are probably aware, any technological changes can bring some technical difficulties or issues. Therefore, to give you all the support you need, we are extending our Membership Services phone hours during the launch of the season. Until October 16th, 2017 you can contact us with any questions at 1-800-811-6428 extension 0, from to 8:30 am to 7:30 pm EST, Monday to Thursday (we will retain our regular hours of 8:30 am to 4:30 pm EST on Fridays). We want to thank you for your patience and understanding while we complete the implementation of all the features. Please send us your feedback by email at national@snowpro.com! Let us know what you like or what you would like to see improved. Your comments and suggestions will help us make the system even better in the future. You can now login to your profile using the login button located at the top right corner of the snowpro.com website. you to set up your personal password. Once this step has been completed you will then see on your main profile page, a section to start the membership renewal process. To complete the renewal process, simply follow the steps to validate, change or add information to your profile. The CSIA National Office wishes you a great ski season! 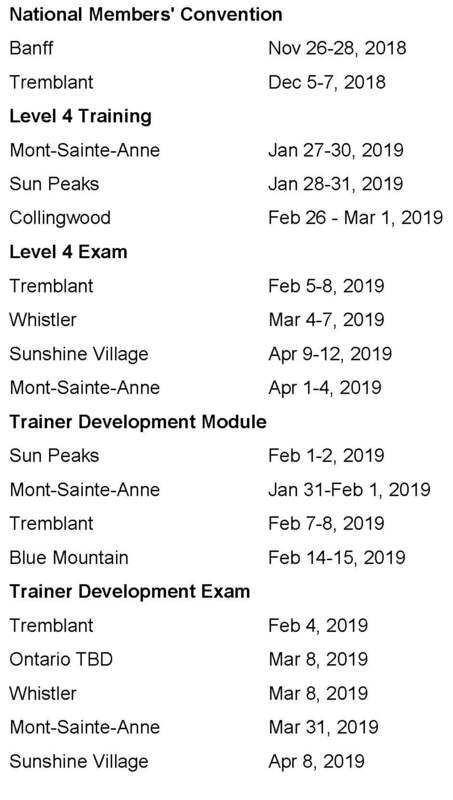 Calling all CSIA alumni ski instructors! Reminiscing about those years when you were a ski instructor? 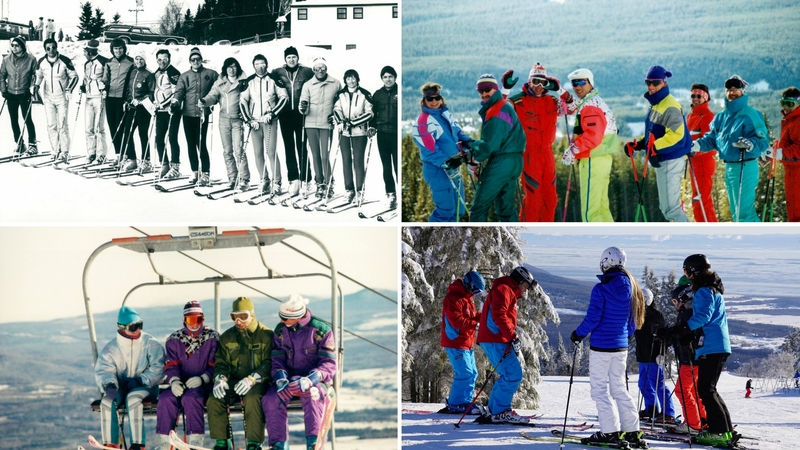 Do you miss those days when you were skiing all day and meeting your friends for après-ski? Are you looking for new and exclusive events as well as exciting benefits? The CSIA will be offering new activities, services, training and benefits for its alumni instructors of all ages. Anybody who has been a CSIA member for a year or more is an alumni. A pilot project will take place during the 2017/2018 season in the Laurentians (the cradle of skiing in Canada). In addition to the alumni instructors from the 12 existing snow schools, alumni from ski areas that are no longer in operation are all welcomed! (Côtes 40 / 80, Gray Rocks, La Marquise, Alouette, Alta, Castor, Plante, Sauvage and Sainte-Agathe, Sun Valley, Vallée Cochand, etc. Afterwards, the concept will gradually unfold in the rest of Canada during the 2018/2019 season. Be part of this new community by completing the form and survey below in order to receive information on the development of this exciting project! Hundreds of alumni have already signed up! Click here to fill out the form and stay up-to-date. Please note the CSIA National Office is now open from Monday through Thursday, 8:30 am to 4:30 pm EST and is closed on Fridays. We will resume our regular 5-day schedule on the week of September 4th, 2017. Please contact us by email at: national@snowpro.com for any questions.